Portrait of Sydney-based singer-songwriter Montaigne. 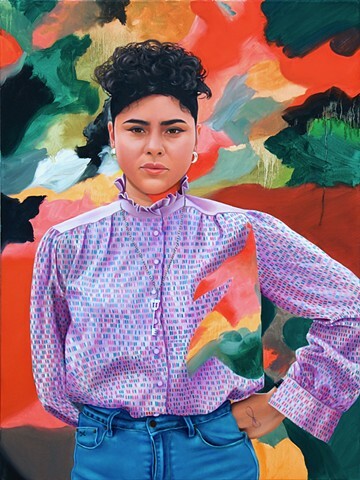 I have an enormous amount of respect for her artistic practice and her unabated quest for knowledge, and am drawn to her open exploration of bisexual love, her androgyny and her commitment to perennial evolution as an artist. Check out her music, podcast and upcoming comedic/musical extravaganzas straightaway.